Has anyone abandoned the X10 for the G1X? ... to judge image quality without having had the camera in your hands for a considerable time. Maybe it's just me, but to me it makes much less to talk authoritatively about handling issues when you have not. I think Canon should be praised for doing it a decent sized sensor in a camera like this. Re: Has anyone abandoned the X10 for the G1X? 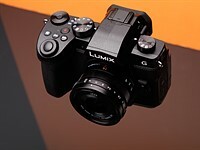 Shutter speed limitations on the G1X ?